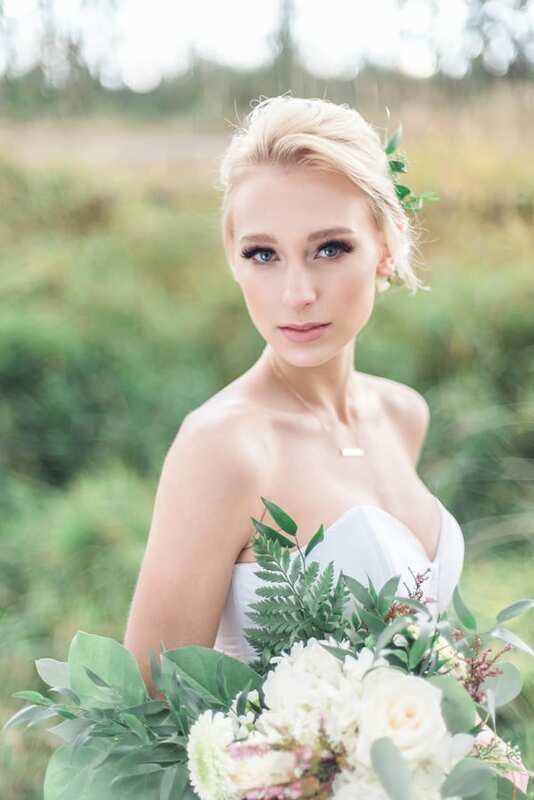 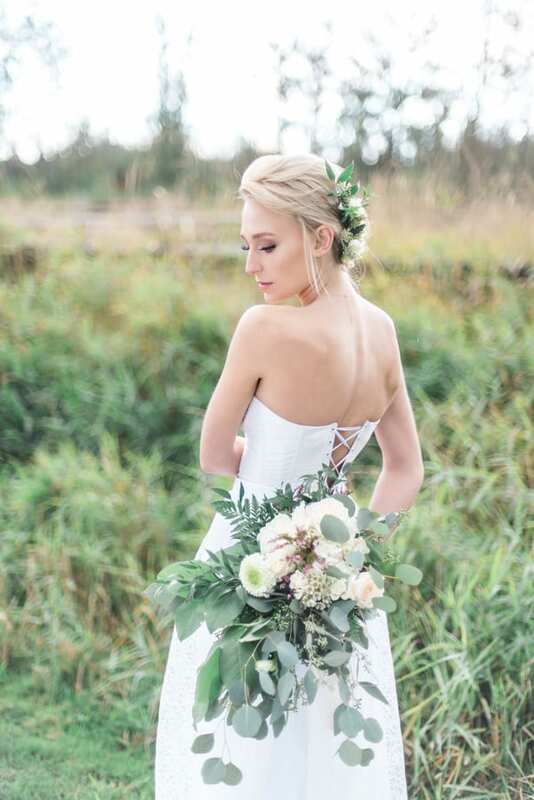 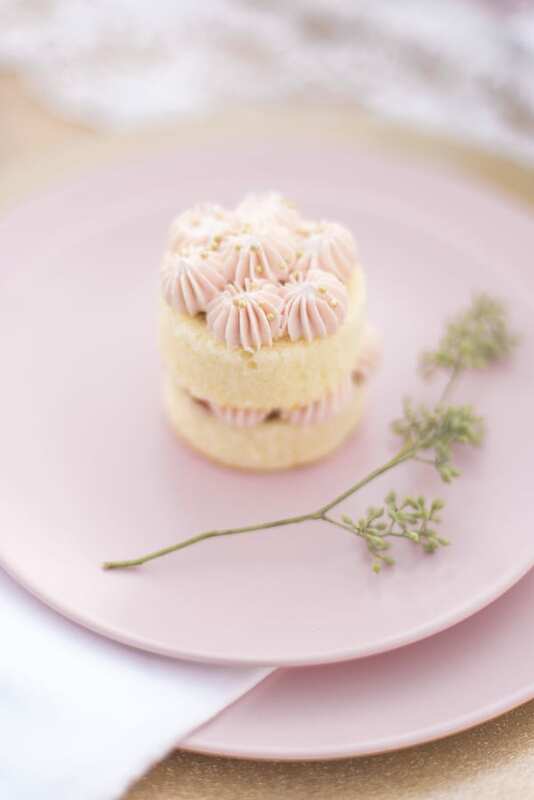 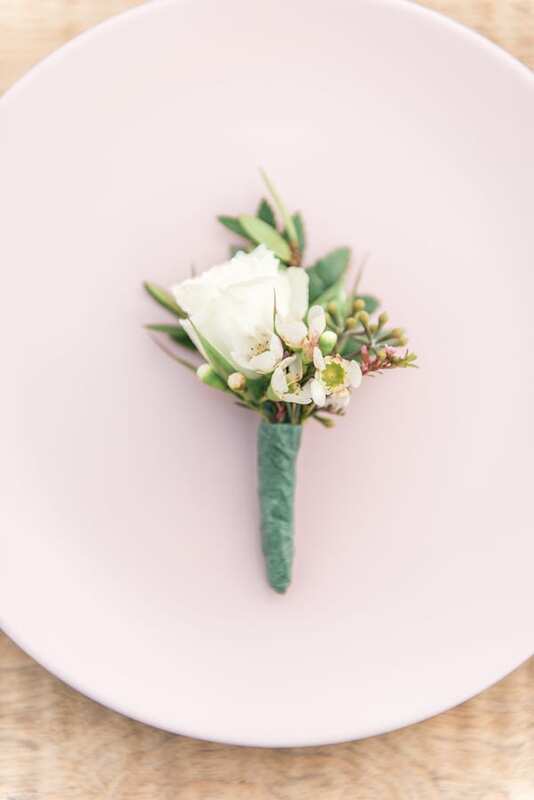 L’Estelle Photography take on a romantic shoot is something out of a fairytale, set on an enchanting equestrian centre with fields of wild grass where horses roam freely, and touches of ivory and blush for little notes of elegance. 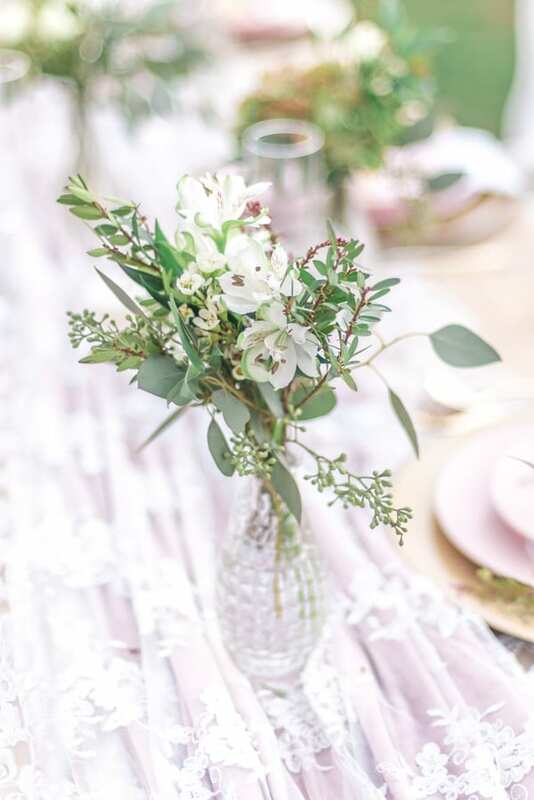 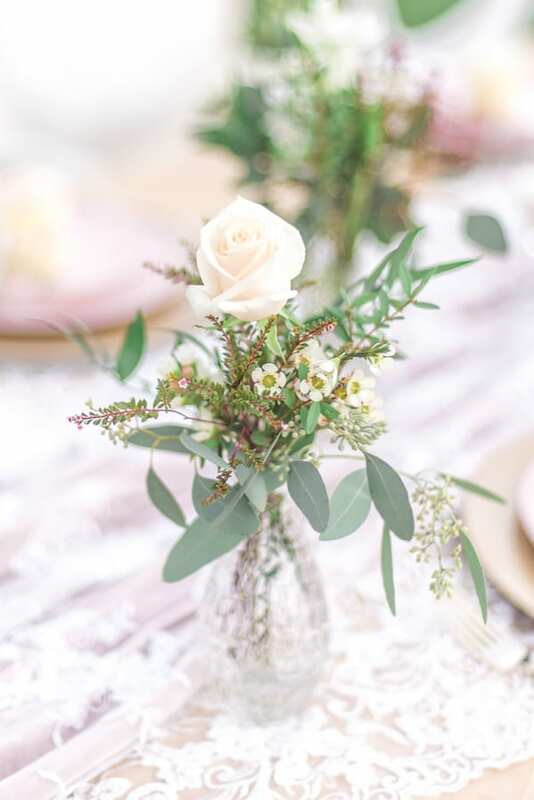 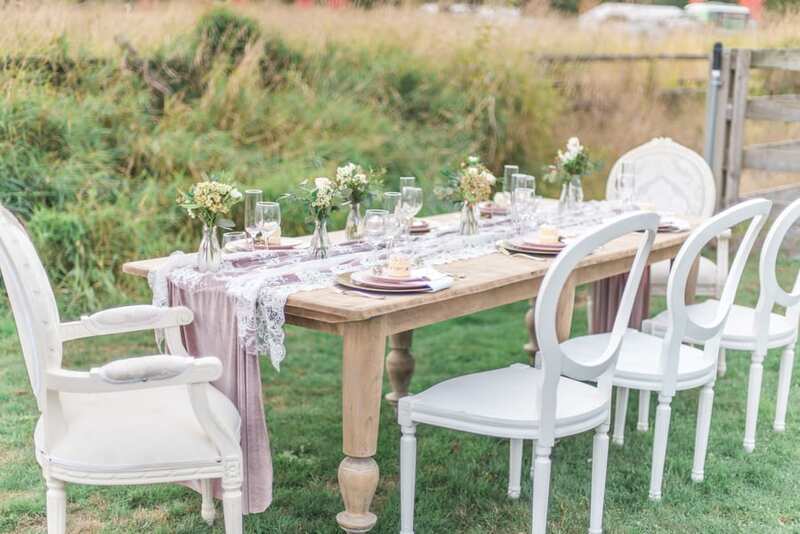 Harvest tables fit in perfectly with the rustic backdrop and are decorated simply, with bud vases as centerpieces so the natural beauty of the setting can truly shine. 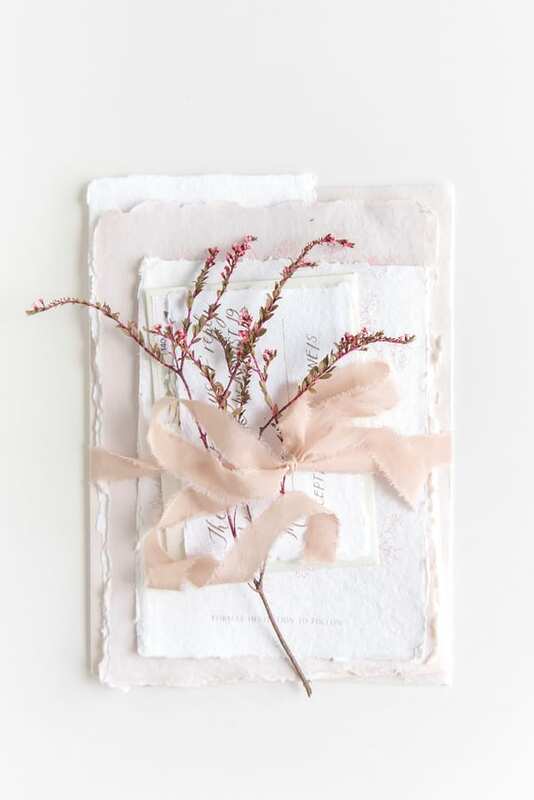 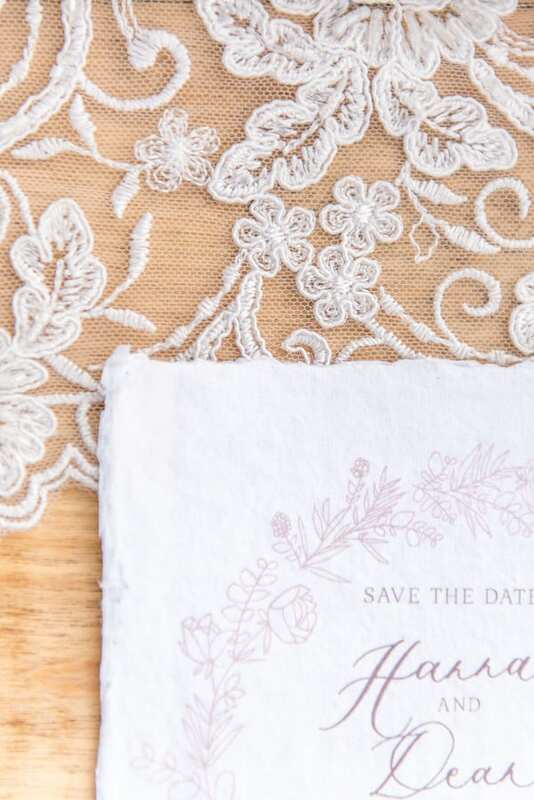 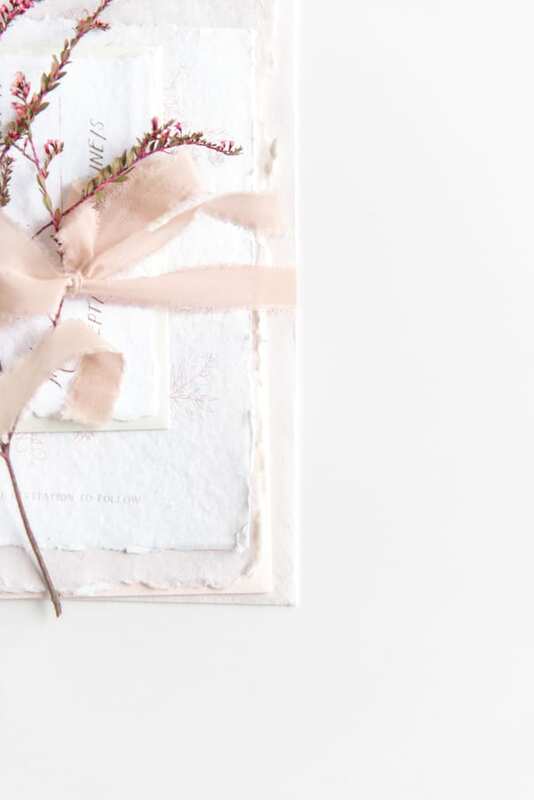 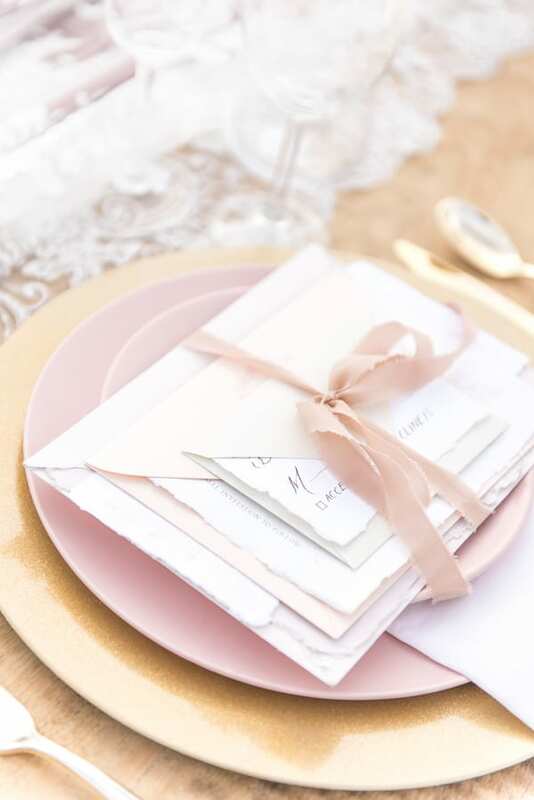 Still, little details create the elegance fit for a wedding. 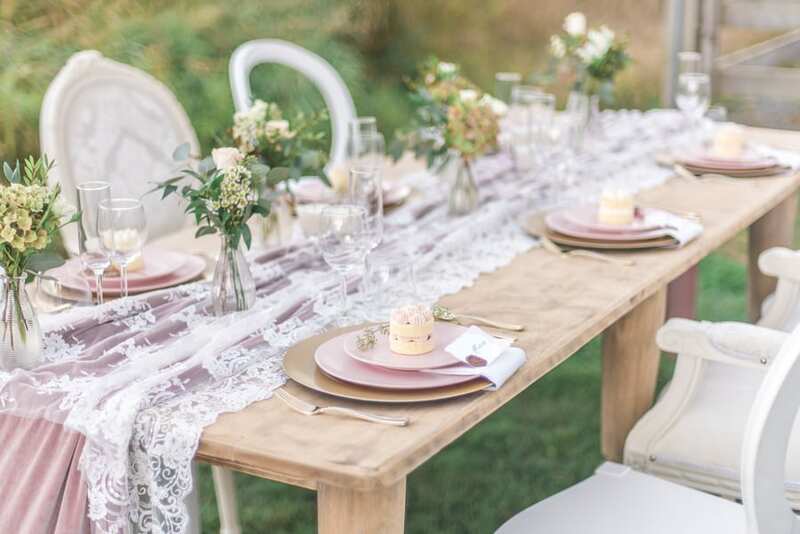 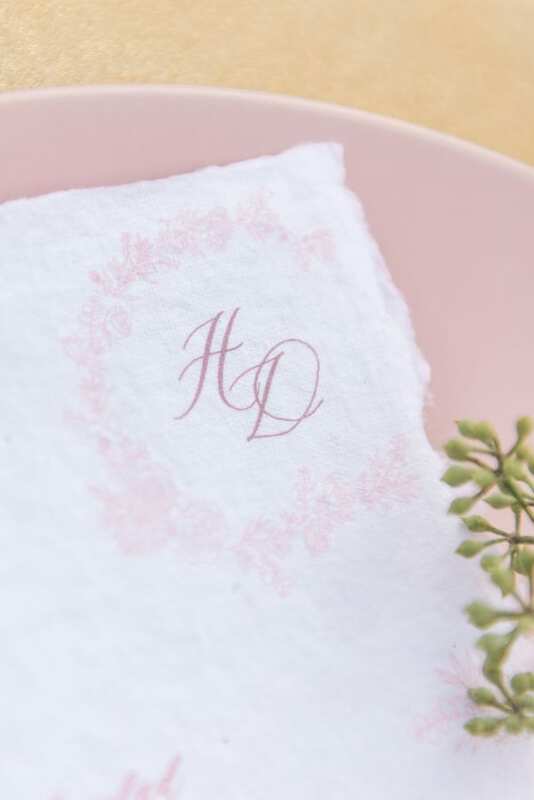 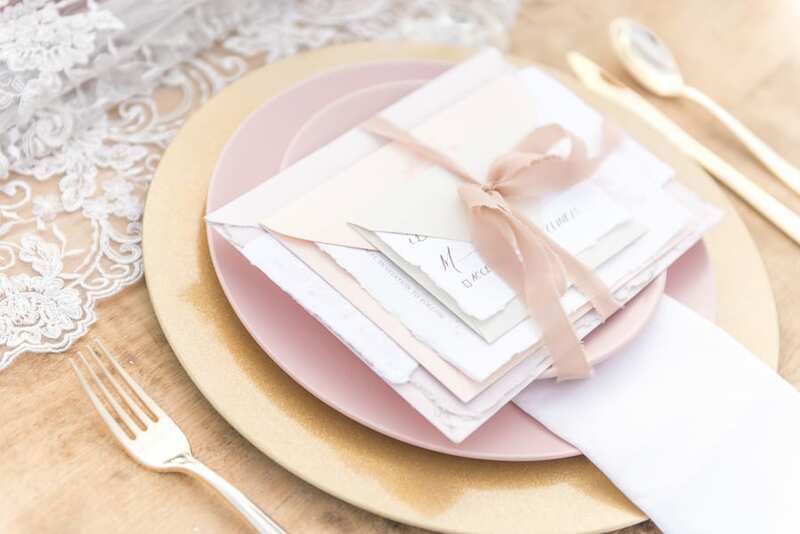 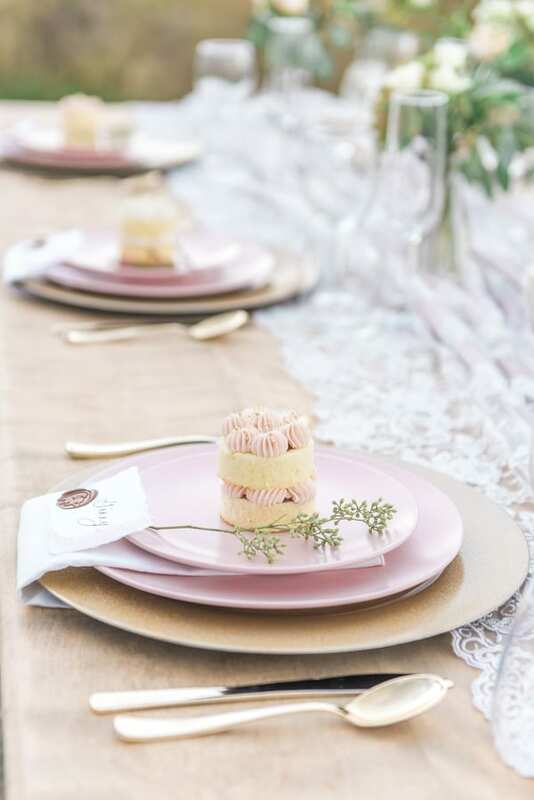 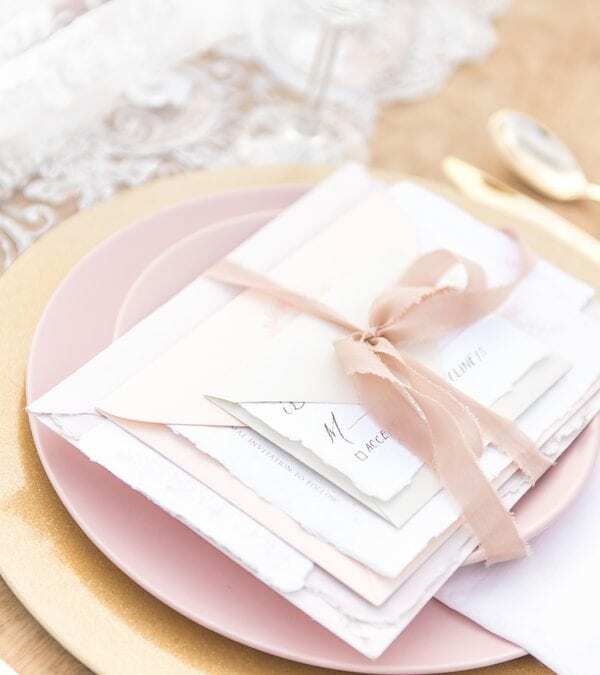 Pink velvet and lace table runners and pale pink dishes on gold chargers elevate the look. 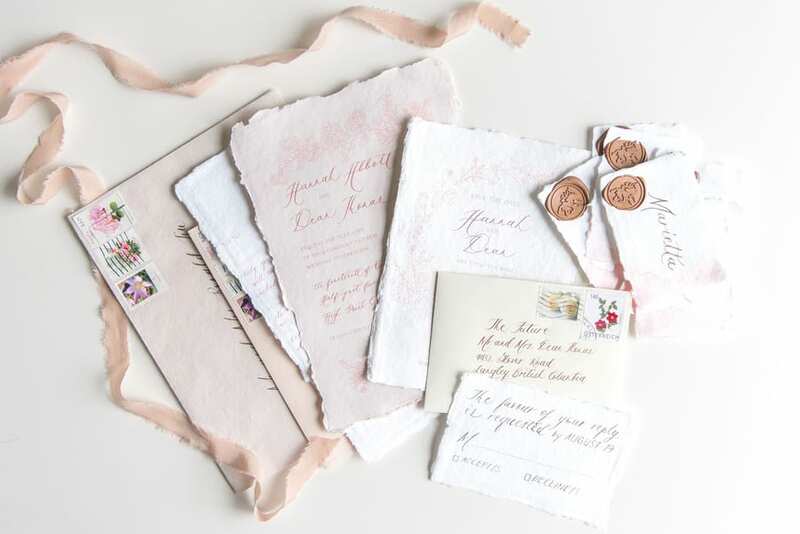 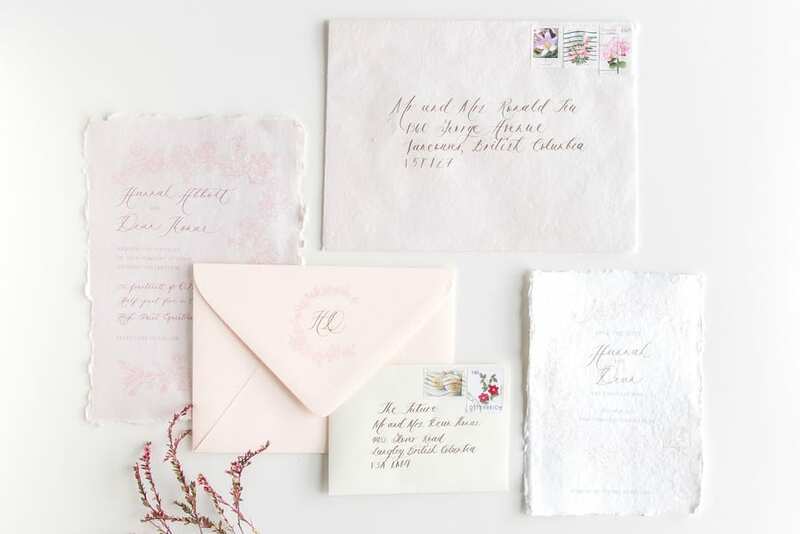 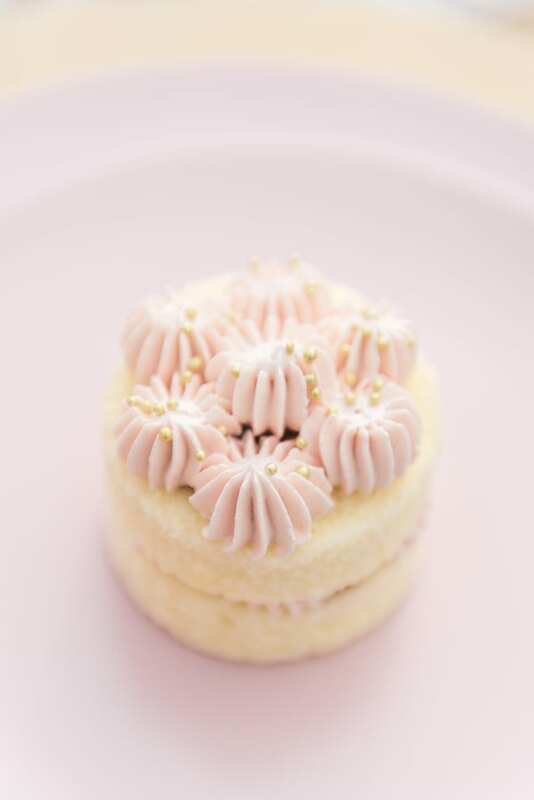 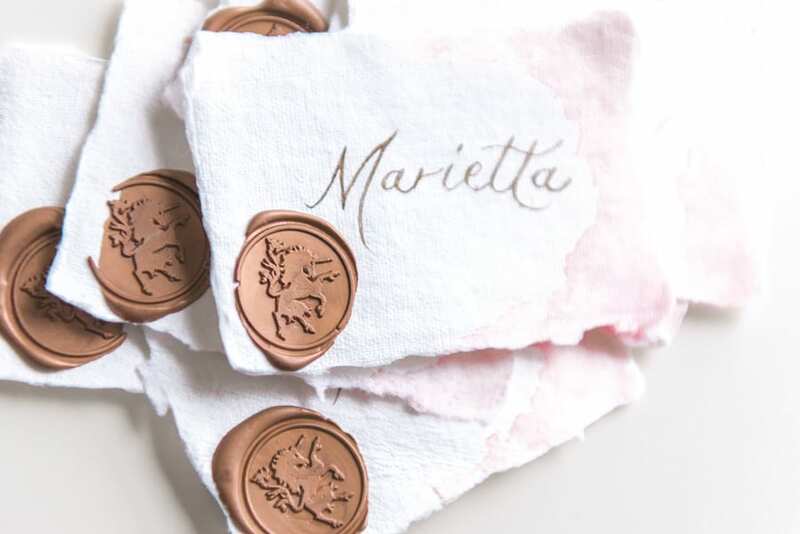 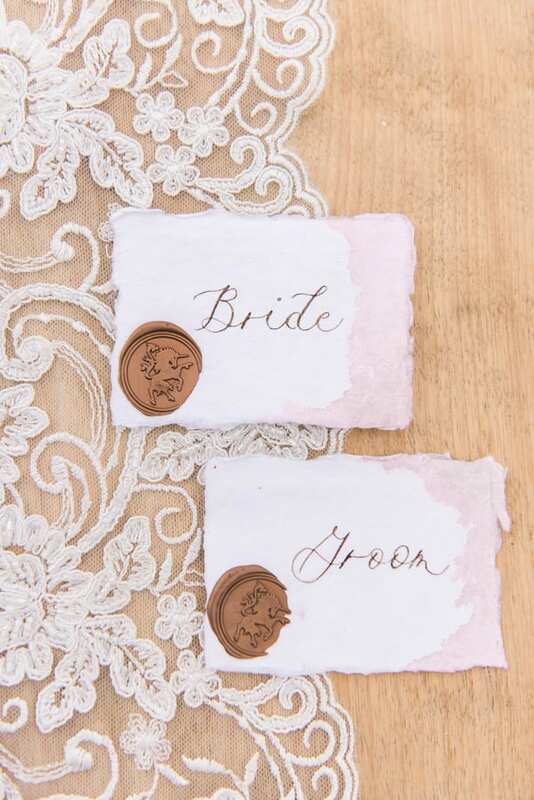 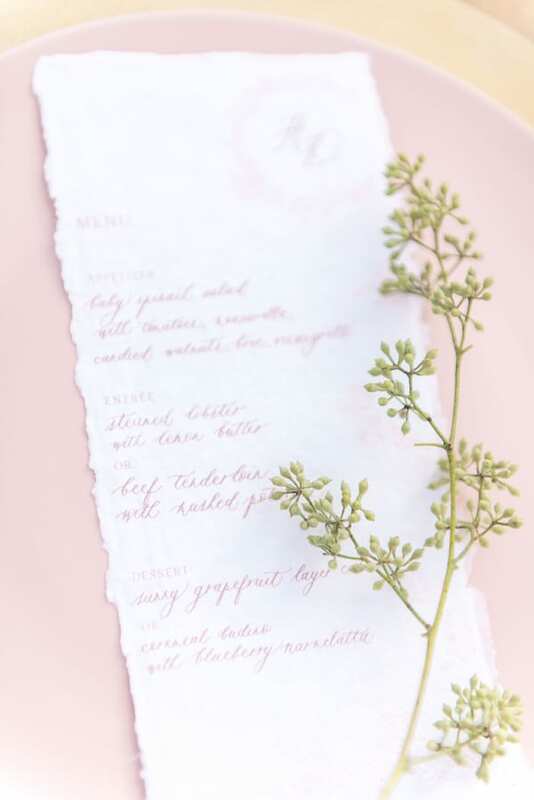 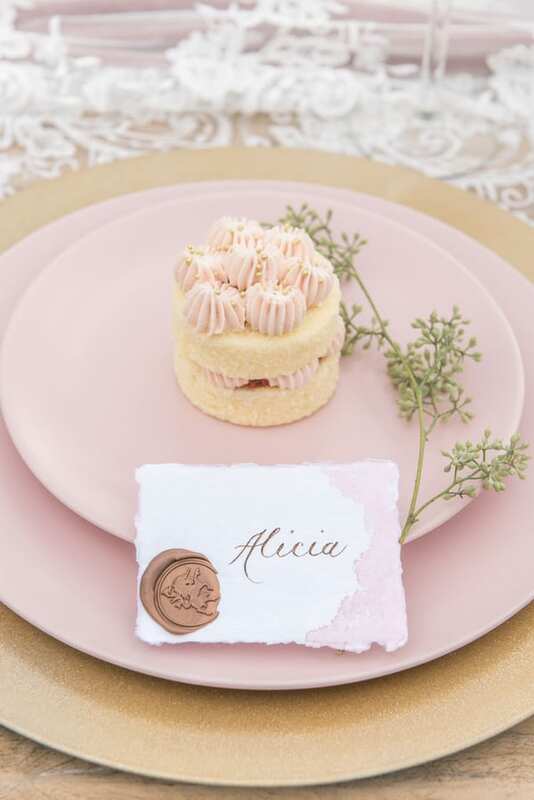 Each setting features dinner menus with handmade calligraphy and mini cakes. 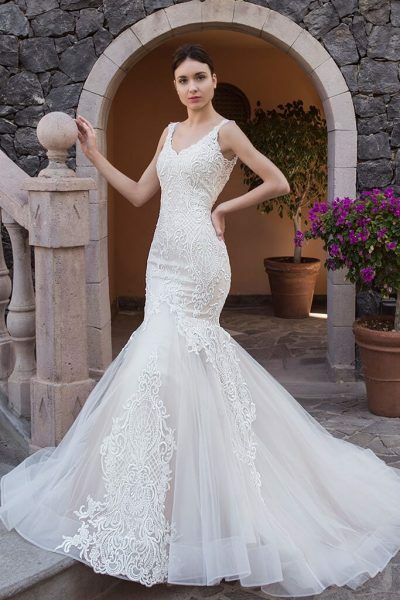 The bride wears a understated but elegant dress with a fitted corset bodice and lace sweep train. 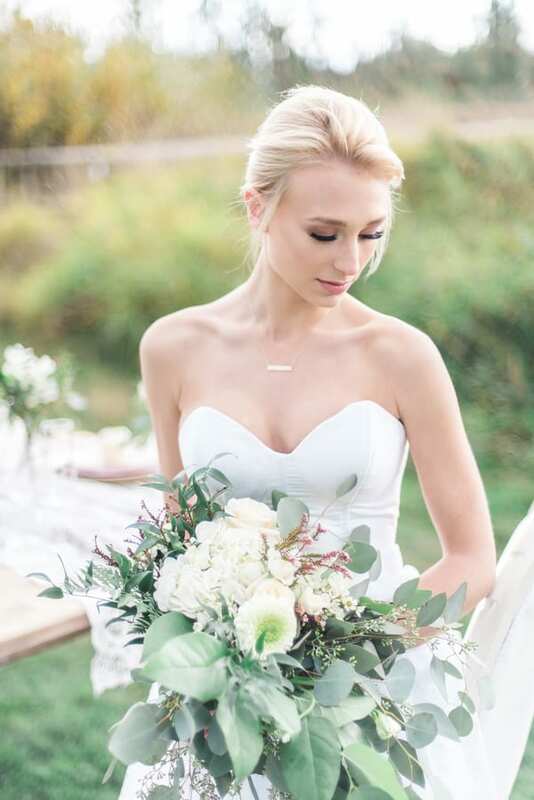 A delicate gold necklace features the date of the wedding. 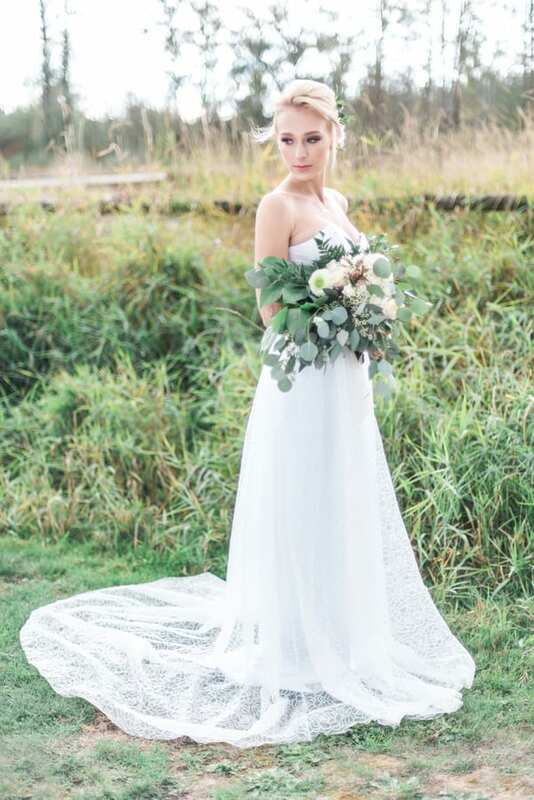 A bouquet of muted green and ivory completes the look.